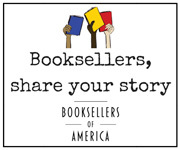 Booksellers and International Guests (only) may participate in one of four tours to Minneapolis-area bookstores and publisher offices. Registration closes when the tours reach capacity. The order of stops may vary. Tours depart the Hyatt Regency Minneapolis from the Nicollet Promenade entrance on the Nicollet Mall. Tours will end at approximately 4:45 pm at the Hyatt Regency, with a stop beforehand at Open Book for scholarship recipients to disembark for the Meet and Greet.